Home Credit Card News Is choosing bonus categories the next big trend in credit cards? Is choosing bonus categories the next big trend in credit cards? 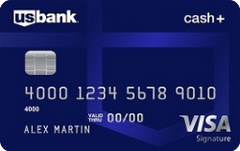 update to the Cash Rewards card shows the trend is gaining traction. choose-your-own-adventure style rewards program for a while, including the U.S.
for personal rewards cards have been few and far between. Cards such as the U.S.
your own bonus category might be the next big rewards card feature. How does choosing a bonus category work? month, you might get more value by switching to 3 percent cash back on dining. on your Cash Rewards card and maximize your rewards earning. preferred kind of purchase every month. come with a few additional benefits that set it apart. cardholders choose their bonus categories. differences in these programs that set Bank of America Cash Rewards apart. the U.S. Bank Cash+, you can change the category each quarter. rewards program, you lose significant value. your own bonus category rewards structure is invaluable to rewards card users. at the forefront of the next big trend in credit cards.